The soft oyster-gray tones of this cashmere grain have a soft light-reflecting tone that adds warmth and depth to any room. A combination of clever modern design and relaxed detail, such as the solid wood work-top, create a living space that is style-conscious but still maintains a calm, laid-back feel. A subtle and more traditional design, this kitchen is perfect if you’re looking for simplicity that still has a little character and creates an impact. 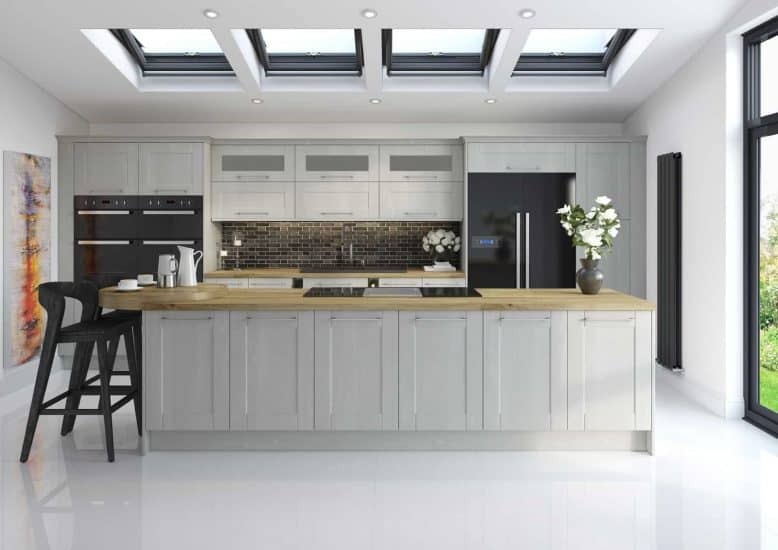 After over 40 years in the fitted kitchens industry, Starplan’s focus remains the same, even though things have drastically changed in the sector! We want our customers to feel appreciated and that they’ve made the right decision to entrust us with their time and money. We have an extensive collection of both traditional and contemporary design to choose from. What’s more, all of our products are made entirely by us here at our Dungannon showroom, so you can rest assured that you’re in safe hands from start to finish! 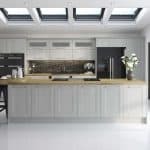 Our team of interior designers can help guide you through each part of the process, ensuring your new fitted kitchen will be unique and personal to you. No two kitchens will ever be the same!